We are so sorry to hear about this. 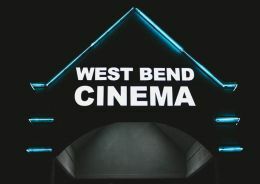 This is certainly not the norm for us here at the West Bend Cinema. Please give us a call so we can have a chance to earn back your business. Thank you for your helpful review. Saw Jumangi Dec. 26 at 710. Arrived 20 min. Early and was told limited seating but seats available. Proceeded to theater 6 and found no seats. We decided to stay as my kids were excited to see this movie. My family along with other customers had to sit on floor. There is a difference between limited seating and sold out. Very disappointed and considering taking my business back to the Falls. My husband and I went to see A Dog's Purpose on yesterday. We've been to this theater previously but not since it was remodeled. The line was long which worried us but the staff was efficient and our wait was really minimal to get our tickets and refreshments. The theater is more welcoming, cleaner, and the staff was very good. The theaters climate was very comfortable and the movie started promptly. Great experience and the refills for refreshments and popcorn are such an added bonus. We felt we got our money's worth for what we paid! My Mom and I went to see "The Boss" on Monday April 11. The 5:15pm showing. Right away we noticed less clutter and freshly painted lobby. There were 4 employees behind the counter and ready to help us. They honored my Mom's gift card that she still had from the old theatre, which was great news! It was free popcorn night, bonus! Soda is now self serve and for some reason I like that better. The theatre our movie was in appeared nice and clean. The movie started right on time. Sound was good too. Cant wait for the new seats to be installed. (They had sample seats in lobby and the looked very nice.) The biggest improvement we noticed was the bathrooms. All the stall doors finally had locks on them that work. The old place was falling apart and you had to try holding the bathroom door shut while using the facilities. Fresh paint in the bathrooms too. All in all our first visit the this theatre was pleasant. We will be back.